NASSCOM has just released a report concerning tech sector (IT-BPO), which enlists top 20 companies in India. As per the report, these 20 firms hired 1.25 million workers during the fiscal year 2014-15, which is little more than 30% of the total workforce hired by the industry. 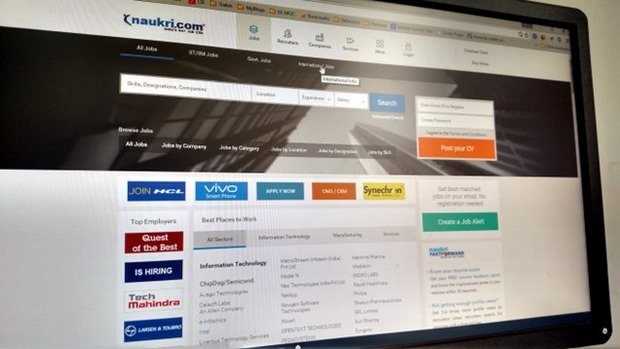 TCS & Cognizant have emerged as top employers among these 20 companies. TCS, Cognizant, Infosys, Wipro, HCL Tech, Tech Mahindra, Capgemini, Genpact, Serco, Global Servics, Aegis, Mphasis, iGATE, WNS Global Services, Larsen and Toubro, Infotech, CSC India, Syntel Ltd, EXL, Hinduja Global Solutions, Firstsource Solutions and Mindtree. As per Nasscom President R Chandrashekhar, hiring in India is experiencing a ‘transition’, as degree or the position from which the candidate is coming doesn’t matter anymore. It is the value which that person brings matters: the key skills which he will be offering to the company, along with his expertise in niche areas which matters most. However, if observed through prism of individual attributes, then having entrepreneurial ability is much demanded among IT employers. These lists of top 20 companies have been created from the headcount data provided by the HR department of IT-BPO companies associated with Nasscom. In the same report, it was mentioned that technology industry will hire 15% less employees this year; and the irony is that technology itself is pushing these numbers down. As per Nasscom, total number of ‘net jobs’ created this 2015-16 would be 2 lakh, compared to 2.44 lakh previous fiscal year. Net Jobs is calculated by finding the difference between total resignations and total new hiring. Interestingly, Nasscom is not worried about attrition, as less people are leaving companies for pay scale difference; it is the skill which are in demand and hence, there is no dearth of companies which can pay good salaries to retain employees. There is a special mention of online hiring, as it will surpass traditional mode of recruitment in the companies. As per Nasscom, 44% of all new hires would be recruited via online hiring, compared to 21% via traditional hiring modes. Employee referrals will result in 22% of all new hires, whereas 14% would be campus based recruitment. Around 2.3 lakh engineering graduates would be hired this fiscal year, which is same as last year. The growth of the industry as a whole will also slow down, as per the report. During 2015-16, the IT-BPO sector will grow at a rate of 12-14%, and become $119 billion market. During last fiscal, the growth was 14%. "Tech Sector Will Create 15% Less Jobs This Year; TCS, Cognizant Top Employers: NASSCOM", 5 out of 5 based on 1 ratings. Sony Bravia Android Based Smart TV Launched in India Starting Rs 69,990!